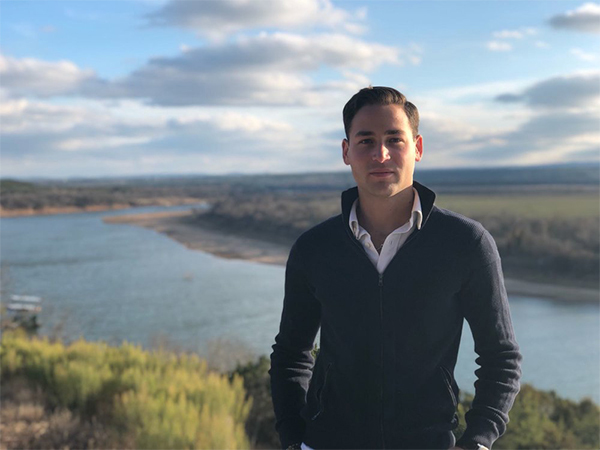 Before Abraham Ginsburg ’18 moved from Mexico City to Austin in 2015, his brother, Max, reached out to him and said it was time to get going on a joint business venture. 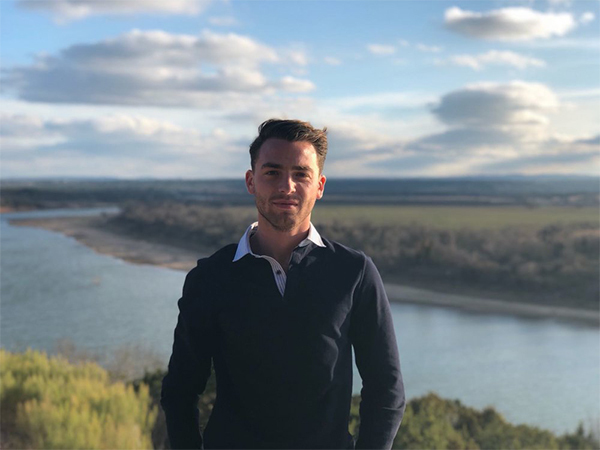 Max was a sophomore at the University of Texas at Austin at the time, and he knew that in order for them to pursue their passion for real estate and development in the United States, they needed to start laying the groundwork for building a successful firm, without any further delay. "All we had was our vision of transforming underutilized spaces into places that positively impact Austin and its people. We saw the opportunity to give people quality places to be in and unique experiences to live." Max said. "That’s when we realized we had to start now." Together, they created the Sephira Group, a private equity firm that focuses on socially responsible property development. In February 2018, a year after starting the company, they broke ground on the south 2nd Street residences – a project made up of four unique homes (two 2,100 square-feet and two 1,050 square-feet). But for two brothers from Mexico City, success in Austin does not come without high risk. Their father, Carlos, lived in Austin 30 years ago while he was a college student at the University of Texas and raised Max and Abraham with the idea that Austin was the place to pursue an education and build a future. Max came to Austin and studied Economics at UT, and Abraham followed two years later, coming to St. Edward’s University and pursuing a degree in Finance. "It was and still is a challenge to be away from home," Max said, "but to be building a new life here, alongside my brother, is really an unbelievable experience." Max discussed with Abraham the rapid growth and economic opportunities that Austin presented, and he began educating himself about the industry and marketplace. He scheduled meetings with professors, family friends and local developers, and although the network started small, it grew quickly. Within a year, the brothers had met with at least 100 people and had gathered enough insights to decide on the best path forward. Max and Abraham also took advantage of faculty relationships, library resources, and contacts with guest speakers and classmates. They tailored their university experiences to fit their career goals and brought lessons they learned from the classroom to the firm. This persistence and resiliency, in a town where they had little to no previous connections, has helped Abraham and Max build their network and prove their credibility to potential partners. But the Sephira Group’s success has not been without challenges. As a Mexican citizen preparing to graduate from college, Max needed to initiate the process of applying for permanent residency. In April 2017, he traveled to the U.S. Consulate General in Juarez, and during the first visit, the office rejected his application. "We had everything at stake," Max said. "I didn’t have a visa, and our reputation with our investors was completely on the line." Despite the time constraints and legal uncertainties, the brothers managed to put together a very attractive investment project – a development of four single-family residences in the heart of south Austin. During the second trip to Juarez, and with the current deal in the works, Max was approved for permanent residency, and he and Abraham moved forward with the first Sephira Group development. Throughout their business relationship, Max and Abraham have relied on trusting each other and playing off each other’s strengths. Their international experience has also given them a different perspective on the built environment – and the impact they can have through conscious real estate decisions. "Growing up in Mexico City – a place that has so many deteriorated spaces and unbelievable raw potential – makes you realize the impact that it’s having on you consciously and subconsciously," Abraham said. "So it inevitably inspires you to want to make the built environment the best it can possibly be." The nimbleness of the Sephira Group has allowed Abraham and Max to frame their business decisions around the socially beneficial, in addition to the fiscally responsible. They are able to look at a property and analyze the most virtuous design for the space’s user. "We look at the long-lasting value and positive societal impact that we can create from a development standpoint," Abraham said. Real estate also combines a number of their shared passions (philosophy, psychology, architecture, design, finance and business), and for two young professionals in a city that is growing this rapidly, the future is bright. By the end of August, the south 2nd Street residences will be completed, and by December, Abraham will graduate from St. Edward’s University. In addition to the Sephira Group, the brothers have created the Finance, Investment and Real Estate Society of Austin (FINRES), an organization for young professionals to build lasting relationships with industry peers. Through bi-monthly happy hours, quarterly panel discussions and community service (including a recent cleanup event at Waller Creek), FINRES creates a community that is inclusive, engaging and professionally driven. Ultimately, Max and Abraham hope to give back to their peers and help shape Austin’s future. As the firm’s portfolio grows and their connections in Austin deepen, the brothers feel secure in their values and mission to social responsibility, sustainability and creating exceptional spaces – spaces that affect a person’s day-to-day life, from where they shop, to where they work, to where they sleep. "Realizing that by developing real estate, we have the ability to positively impact and improve the lives of hundreds, made it clear that there is no other business for us," Max said. "We are looking to organically grow our way into larger and more impactful projects. Never taking on more than we can handle but always pushing ourselves to make the firm the best it can possibly be."